In our busy world, we often let ourselves get preoccupied with worrisome and inconsequential things. What does this get us? 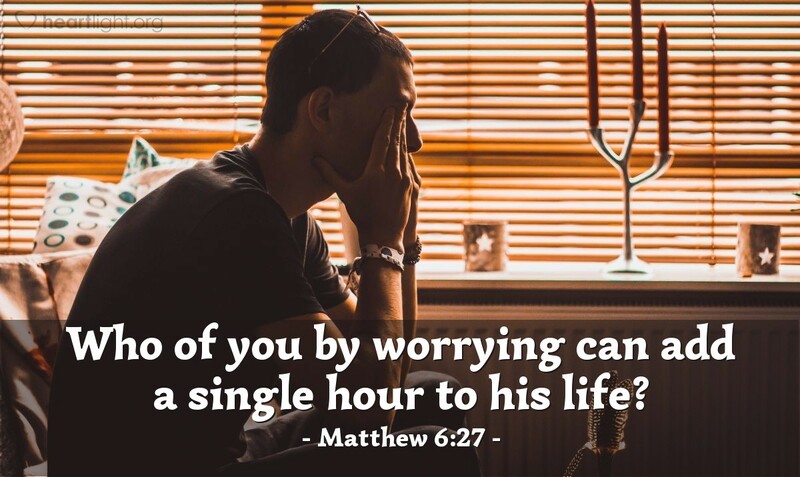 Far from making our lives more productive or adding to our longevity, we know for a fact that worry hastens our demise and robs our days of joy and grace. Father, thank you. Thank you for making the earth hold its orbit and my heart have its beat. Thank you for giving me a future beyond the boundary markers of my mortality. Thank you for pouring your grace and numerous blessings into my life. Forgive me, Lord, when I do not count these blessings enough and begin to worry how I might acquire more or fear losing those things that I have. In Jesus' name I pray. Amen.